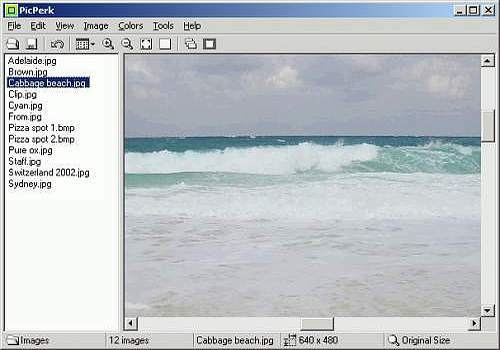 PicPerk is a image viewer and editor that supports most common graphic formats, including JPEG, GIF, TIFF, BMP, PCX, WMF, and TGA. The application enables you to open a specific image file and also enables you to open a folder and easily view and edit any image included in it. Along with the usual assortment of file operations, such as convert, copy, move, rename, delete, and print, PicPerk features thumbnails and full-screen viewing, zoom functions, and 33 image-edition effects, including crop, resize, and red-eye removal. In addition, PicPerk features tools to display slide shows, to set and remove the desktop wallpaper, and to associate file types with it. Ce petit programme permet de visualiser des images.